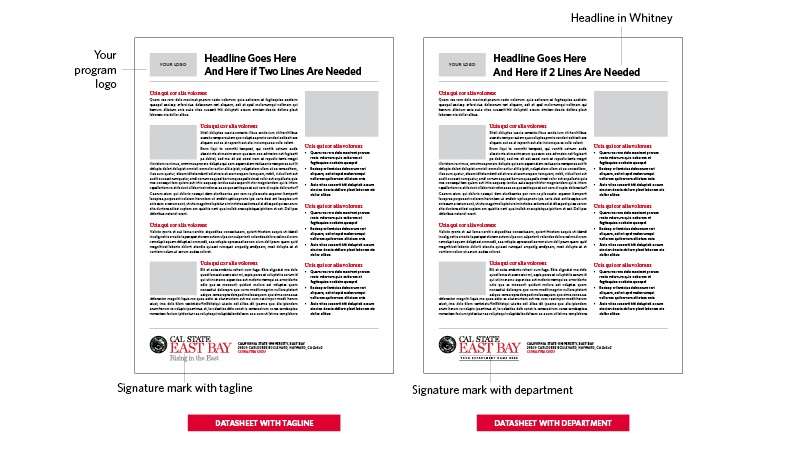 For access to templates of any of the applications below, please submit a design and publication request with University Communications and Marketing. 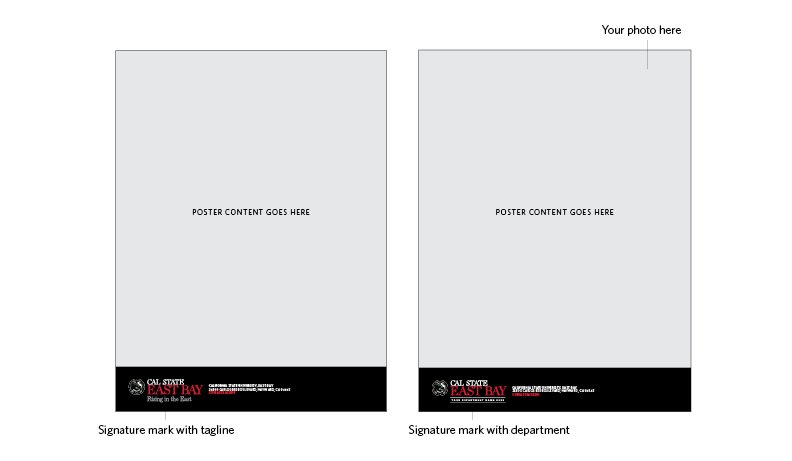 There are two versions of letterhead: one for department/program use and one for general use. If a college, department or program has its own logo or symbol, it should not be placed next to the university logo, but at the bottom of the first page as shown in the example. Mailing envelopes employ the signature mark with the stacked tagline lockup, and return addresses placed to the right of the mark. 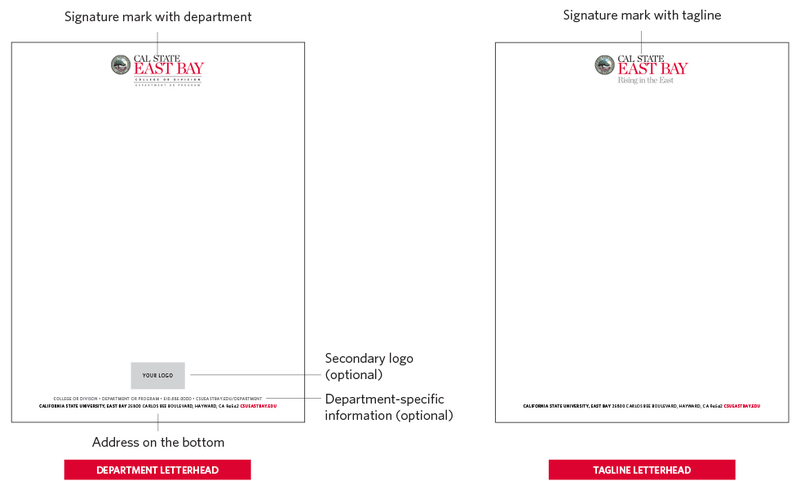 Standard university folders include the signature mark against black background with stacked tagline lockup on both the front and back covers, the tagline alone on the inside left pocket, and a business card slot on the inside right pocket. One-page datasheets should follow the guidelines above, using the appropriate signature mark. 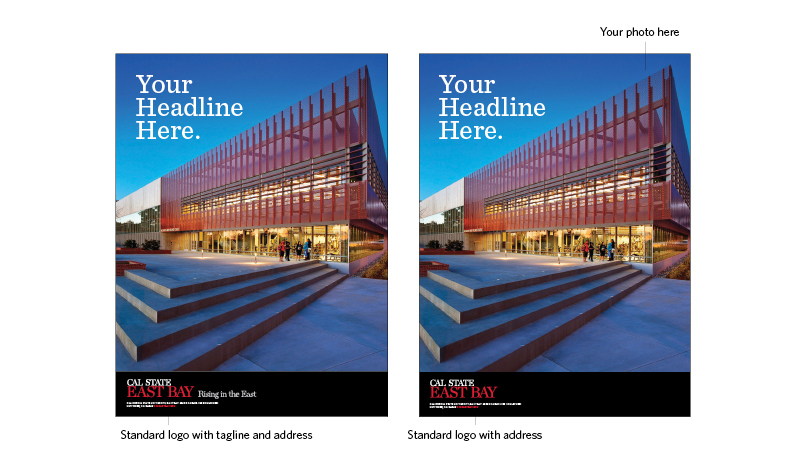 The white trifold brochure layout is recommended for a brochure on which the cover content consists of words only or graphics against a white background. The signature mark appears on the front and back covers against a plain white background. 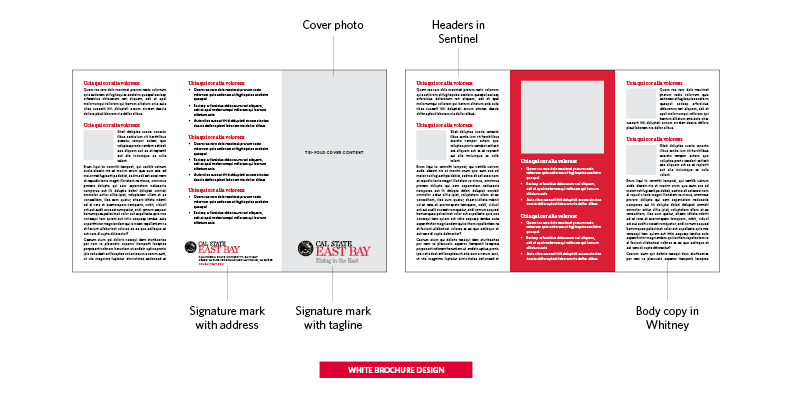 The black trifold brochure layout incorporates a black strip across the bottom of the front and back covers on which the signature mark resides. It allows for the use of a photograph or other full-bleed imagery on the front cover. 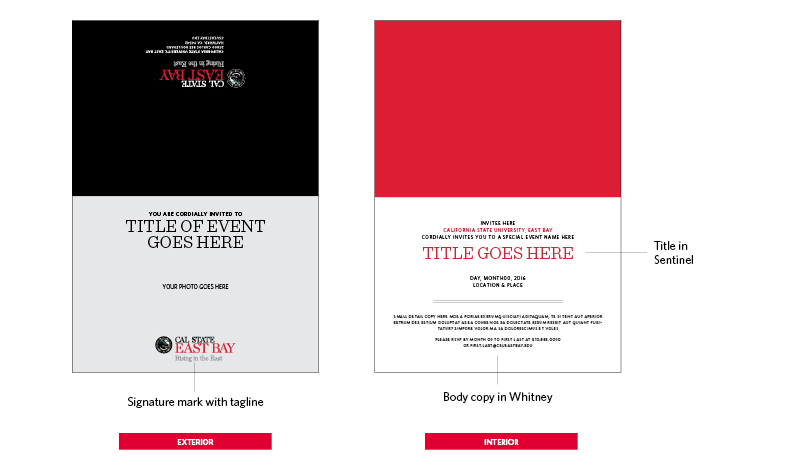 The formal poster layout includes a black strip across the bottom in which the signature mark resides, along with any detail copy such as event location and times or general contact information. 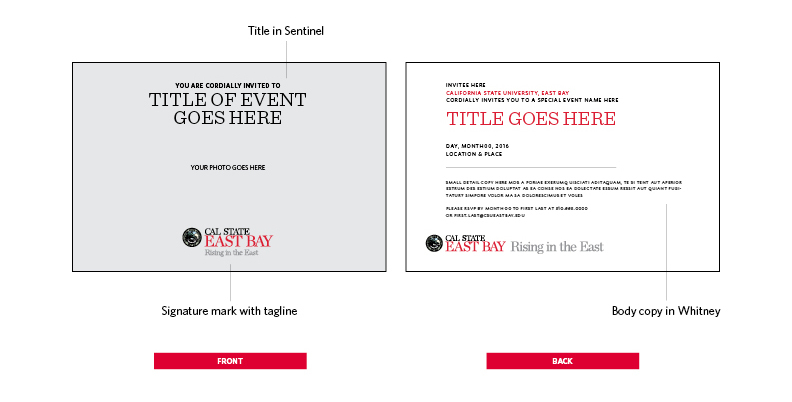 The informal poster layout utilizes the standard logo within a black strip at the bottom. It allows the option to use the horizontal tagline lockup.